Credit: NASA/JPL-Caltech/Cornell Univ./Arizona State Univ. This 360-degree view, called the "McMurdo" panorama, comes from the panoramic camera (Pancam) on NASA's Mars Exploration Rover Spirit. 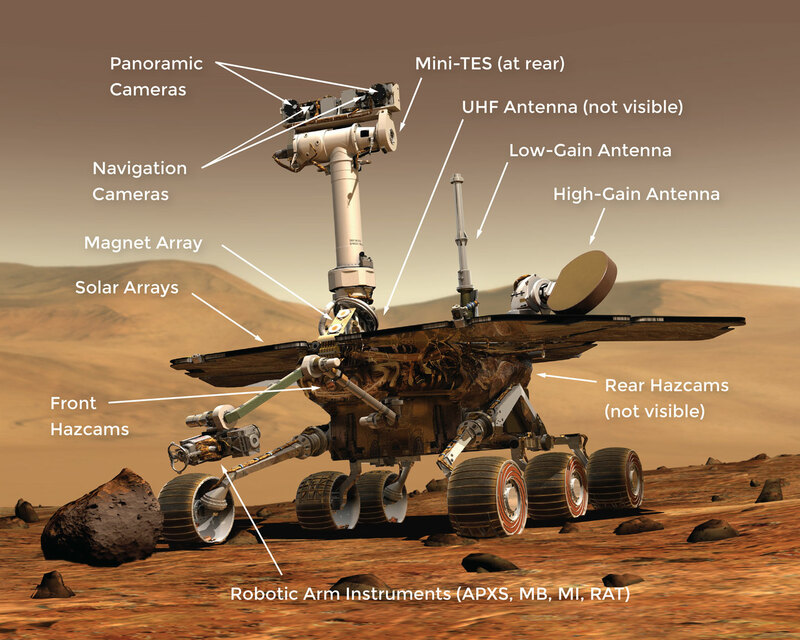 The Mars Exploration Rovers act as robot geologists while they are on the surface of Mars. Embed this 3D model viewer by pasting the following code into your website. By using the code and embedding this resource, you consent to Multimedia Policy. 3D Model of Spirit and Opportunity: Click (or touch) and drag to interact with this 3D model of the Mars Exploration Rovers. a body: a structure that protects the rovers' "vital organs"
communications: antennas for "speaking" and "listening"